You probably aware about email marketing by now, but there is few people in your company who don’t know all little terms of email marketing. 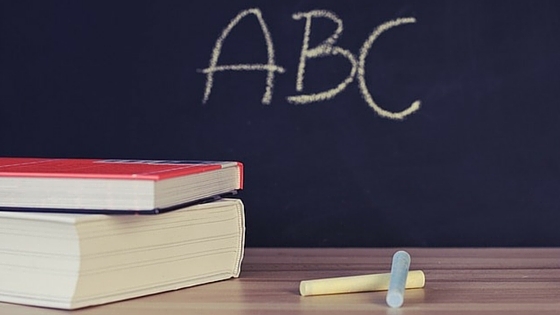 Here we’ve listed all the ABCs (glossary terms) to be fluent in email marketing. If you want to share some other terms, leave in comment box. We’d love to hear from you! Use Alt text for your Image or other visual which describe it. In a situation where images can’t or won’t load due to a bad connection or any other reason, the ALT text will appear instead of the image & it helps users to understand the image. Bounces are the number of emails that are not delivered to recipient’s inbox. There are two types of bounces – Soft Bounce and Hard Bounce. Soft Bounce is temporary failure of email due to recipients inbox is full or server is temporarily unable to receive the mail. Hard Bounce is a permanent failure of email due to invalid or non-existent email address. Action oriented & relevant call-to-action button is a way to encourage recipients to take an action. Your email campaign must contain big, colourful CTA button which will help you to improve your conversions and CTR (click-through-rate). Delivery rate decides campaign success. Delivery rate is the percentage of emails delivered in recipient’s mailbox. If your delivery rate is very low then you must examine – email list, subject line & content. Email is one of the best way to build close relationship between business & customers. Keep engaged with your customers at regular intervals by providing them informative content. When your recipients check the email, they look at the “from” field to see who sent the email. So, you must put your company name in “From name”. You must know your audience in order to successful email marketing. Geolocation is a very important variable to send targeted message. Header is one of the most important section of email. You should place your company logo to header of your campaign to make it more professional. Inactive contacts do not receive any newsletters & emails. Examples are – unsubscribed contacts, contacts with no email address, & not verified subscribers etc. Junk folder get the irrelevant or unsolicited (Spam) emails sent to a user who has not opted in to receive messages from that sender. You must ALWAYS follow the SPAM act based on the location you are targeting. Email marketing is more than sending newsletters. It gives an opportunity to know your targeted audience and you get better idea about their needs. It’s about offering valuable information and building trust. List segmentation is one of the most powerful practice for improving effectiveness of email campaign. You can segment your contact list as per their age, location, interests,demographic area, industries etc. It will help you to send right message to right people. 64% of decision makers read their email via mobile devices. So your email campaign must be mobile responsive to give better experience for subscribers. Make sure your email looks good on mobile device. Newsletter is the best way to send company news, build relationship & improve brand awareness. You should send email newsletters on regular frequency – Weekly or monthly. It enables you to interact with your subscribers. Content examples in newsletter – Popular blog posts, information about services/products, offers or discounts etc. Before send an email to subscribers, you need to ask their permission. To get their permission you should put sign up forms on relevant places. Through sign up process you get subscriber’s permission to send email for specific service. Email is a direct way to communicate with your audience. So you must deliver useful, informative & relevant content. You must maintain quality in your message. Make your message clear and consice. Email marketing delivers the highest ROI than other marketing channels – For every $1 spent, Approx $44 is the average return on email marketing investment. Approx 64% of people open an email because of Subject line. Subject line makes difference, its a soul of your email. Because its the first thing which recipients see in their inbox. Make it eye-catchy & promising to get recipients attention. Transactional emails are expected messages that are received after a specific action has taken place, for example – make purchase on website, fill out a registeration form etc. If a subscriber want to stop emails from you, he can unsubscribe from your email list by clicking the “unsubscribe” link. You must keep your unsubscribe rate low. There are two type of email verification process – Single opt-in and Double opt-in. Single opt-in process don’t require the user to confirm email address. Double opt-in require the user to confirm email address by clicking a link. You should keep the width of email template under 600 pixels for desktop design to ensure subscribers won’t have to scroll. “X-mailer” is a line in the header of an email message that shows which software the sender used to send the message. Email is also show information about you and you can market your company without using sales pitch. Campaign includes your social profiles, website or blog address, logo & your company’s current physical location etc. Do you have users who have not opened or clicked an email over a certain period of time? These are Zombie contacts. Send them an email to make a new contact list to start the re-engagement process. See who opened your email and add these contacts into active list. Its pretty interesting being reminded of the glossary of terms related to email marketing. Email marketers should be acquainted with these terms to make the most of their campaigns. Although of these terms are important, terms like engagement, list segmentation and quality should not be ignored. These should be embraced very well to increase conversion! Marketers should familiar with these terms to be fluent in email marketing. Thanks for stopping by and sharing your thoughts!